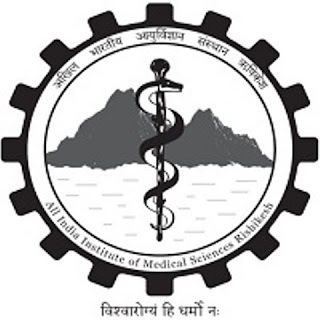 AIIMS Bhubaneswar Recruitment 2018 For 150 Senior Resident & PDF | aiimsbhubaneswar.nic.in : All India Institute of Medical Sciences, Bhubaneswar (AIIMS) has released a recruitment notification for 150 posts of Senior Resident and Post-Doctoral Fellowship. Interested candidates may check the vacancy details and apply online from 07-05-2018 to 05-06-2018. Educational Qualification: Candidates should have passed their education in MD/MS/DNB/DM/MCH in the concerned subject from a recognised by MCI/Institute of National Importance. General/UR/OBC candidates have to pay Rs. 1000 and SC/ST candidates have to pay Rs. 500 through NEFT to be made in Bank of India, AIIMS, Bhubaneswar Branch, Odisha. Note: PWD candidates don't have to pay any fee. Interested and eligible candidates may apply online through AIIMS Bhubaneswar website - http://aiimsbhubaneswar.nic.in/ - from 07-05-2018 to 05-06-2018.